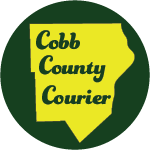 Thea Powell, during today’s meeting of the Cobb County Planning Commission, gave a statement about her removal as planning commissioner by Cobb County Commission Chairman Michael Boyce. She was removed shortly after speaking against the millage rate increase proposed by Boyce, which passed in a 3-2 vote, at a public hearing. Boyce gave no reason for the removal in the letter informing her of the action. Good morning. Why does the county have public hearings such as this? First and foremost because freedom of speech is guaranteed under the First Amendment. But also, because no government should have the arrogance to believe that it alone knows what is in the best interest of its citizens. Today many of you in the audience will be speaking about your concerns, and asking questions. Both the planning commission and staff should be prepared to address those concerns and answer your questions, in an effort for us to make the best decision by taking into consideration all the information presented. During my eighteen months on the planning commission, I regularly spoke out about following the zoning code, the land use plan, and why variances were being approved without a stated hardship. I can assure you, not everyone took these comments in a positive manner. During this time, the chairman, whose appointee I am, never contacted me expressing displeasure with my performance. The week after speaking at the July 17 public hearing about the millage increase I received a letter from the chairman’s office notifying me that I was being replaced on the planning commission. Since no reason was given, and considering the timing I can only assume that speaking out may have been what prompted this action. As this will be my last zoning hearing, I thank my fellow planning commission members for serving. Please continue to listen to all who come before you, as we are servants of the people, and have the responsibility of keeping their best interests at the forefront. To the staff, thank you for the hours of work you invest in providing all the commissioners, with relevant information, ensuring that the best decision possible will be made. In closing, to those citizens who attend any of the public hearings, and are willing to share your opinions, please accept my sincere gratitude. You have, and will continue to make a difference. l look forward to joining you, and having the opportunity to use my freedom of speech unencumbered. 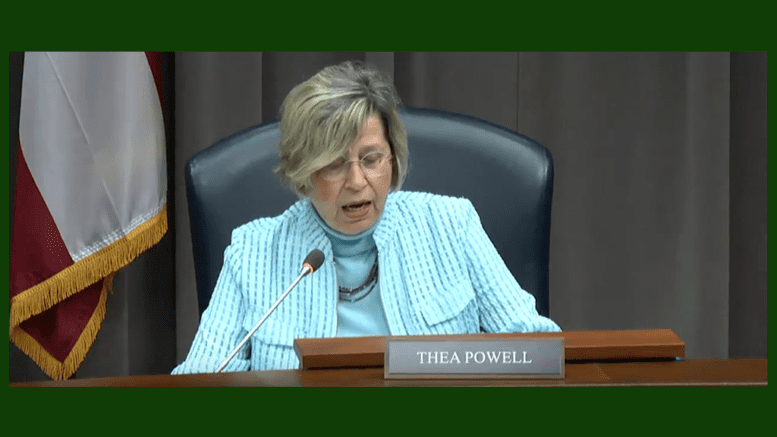 Be the first to comment on "Thea Powell unloads on Boyce at her last planning commission meeting"